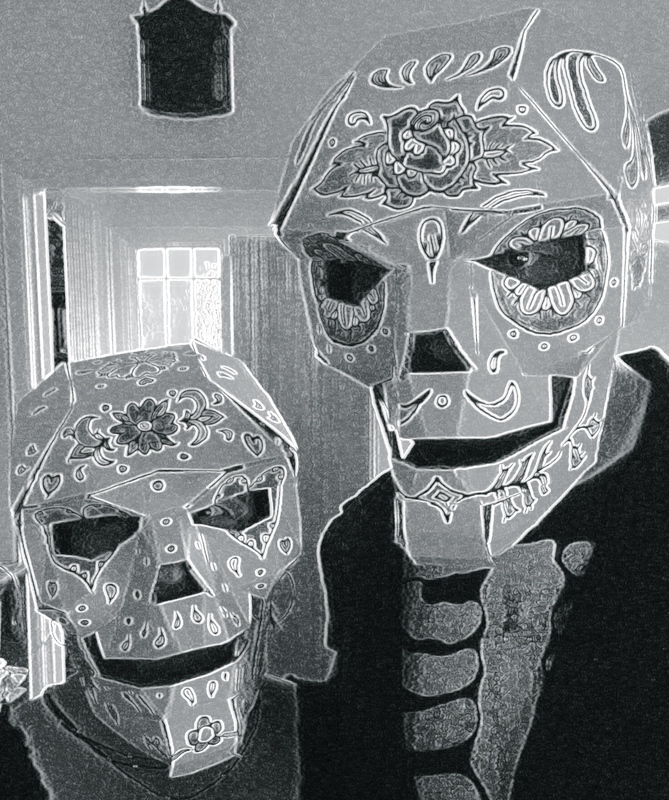 Our Halloween costumes get another spin today for Day of the Dead after Friday night’s party. In honor of Day of the Dead which this year is the Day of Daylight-Losing-Time, I’m going to ask you to help me out with some measurements. I hit 100 followers, 200 likes, 60 posts, and almost 150 comments. Not big time, but a little bit bigger-time. One of my last assignments in my blogging class over at WordPress.com (which I highly recommend by the way! Here’s the link.) is to poll your readers about what they like/want to read more of. If you would be so kind as to give me some feedback, that would be awesome! I so appreciate your visiting, reading, liking, commenting on, and following my blog. You mean a lot to me! This entry was posted in blogging, crafting, entertainment and tagged art, blogging 101, crafting, day of the dead, Halloween, nablopomo, papercrafts, photo101, photography101 by Project Easier. Bookmark the permalink. I wish I could vote for more than one topic, but given the “limitation” I voted for my #1 choice. Your reflections on life are my favorite. Thanks! 3 people have voted and they all said the same thing! Wow. I thought my life was boring! Thanks so much for reading and voting. I heart you!